If you have noticed the rankings of various websites in search results have changed, it is likely due to the fact that Google has confirmed a “broad core algorithm” update that occurred at the end of February. This week, Google rolled out new updates and features regarding image search results and Google My Business. Google was testing the updates and features earlier this year and late last year, and has now decided to deploy them. A new messaging feature for Google My Business is now fully available on mobile phones throughout the U.S. The managers of Google My Business accounts can now directly chat with potential customers or clients through the Google local panel in mobile search. So, when potential clients see your Google local panel when searching for your company in mobile search, a “Message” icon will appear next to the “Call,” “Directions,” and “Website” icons. 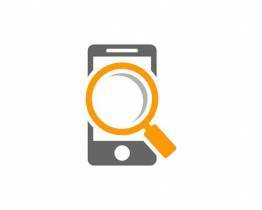 When you need information about a restaurant, business, or a current event, chances are you start your search using a device connected to Google. You are not alone—Google’s search engine processes 3.5 billion queries on an average day. In determining what results to show you, Google uses a complex algorithm to “guess” which websites are most likely to provide the answers you need. The exact formula of Google’s search algorithm has never been released to the public, but it uses a large number of factors both about the websites it displays as results and the user conducting the search. Webmasters and digital marketers are constantly in a race to optimize their sites to rank higher in search results so as to increase traffic to their sites and those of their clients. Therefore, when Google updates its algorithm, the changes can create a domino effect across the internet. Sometimes, such updates are rolled out with a great deal of fanfare and media attention; other times, they are kept much quieter. According to various forums and webmaster outlets, an algorithm change may be on its way right now.